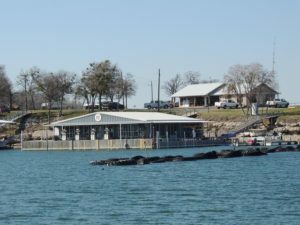 Eisenhower Yacht Club Marina is privately owned and operated full service marina on Lake Texoma located in Eisenhower State Park offering a wide range of boating activities and services. Eisenhower Yacht Club Marina offers boat slip rentals, dockominiums with improvements, yacht sales, service and boat brokerage services and a full service marine shop. Find everything you need in the Ships Store and gas up at the fuel dock. Pontoon boats, Canoe, Kayak and Paddle Boards can be rented by the hour or by the day. Breakfast starts at 8 am! Come join us today until 2:00 for breakfast, lunch, and beautiful lake views!